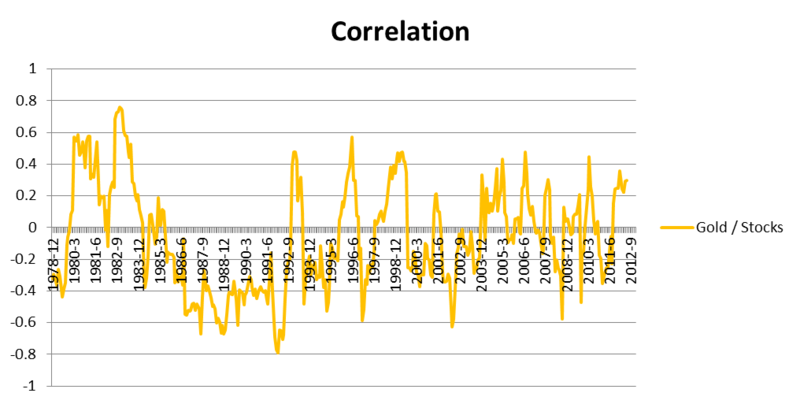 Correlation coefficients are a common way of quantifying diversification benefits. 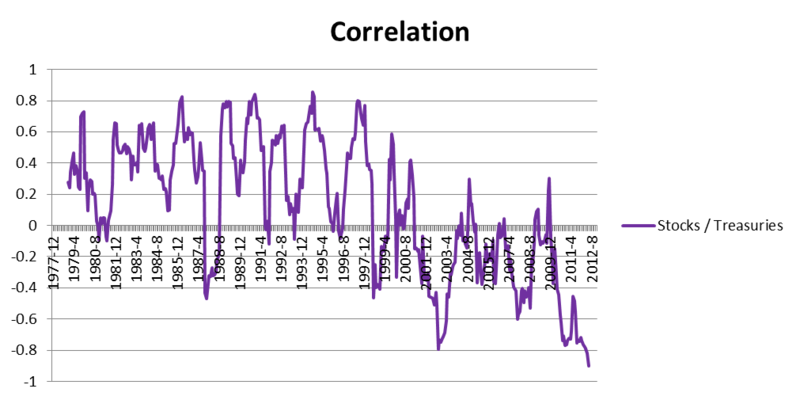 If you hold an equity portfolio and can find another asset class that will exhibit low correlation to equities, you will likely be reducing the risk of your portfolio if you include the low correlation asset class. 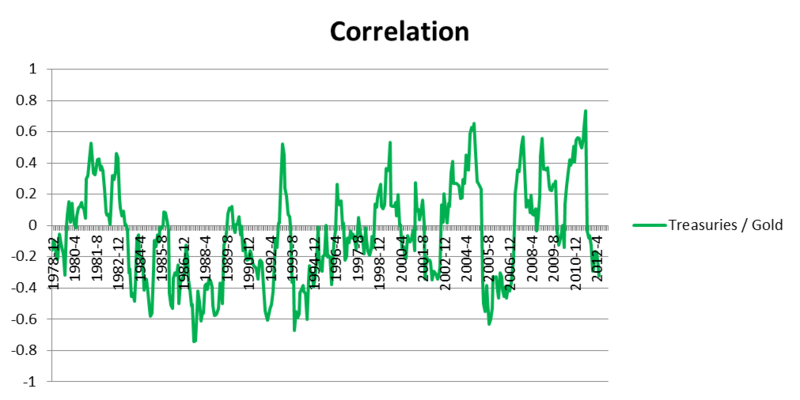 The problem is that correlation coefficients between asset classes are notoriously unstable. Therefore, relying on ex-post observations of low correlation can give you a false sense of security when constructing a portfolio. Below I have charted the trailing twelve month correlation coefficients of the 3 volatile asset classes that comprise the Permanent Portfolio. If you were to attempt to arrive at weightings based off of correlation coefficients you would be totally lost. Instead of focusing on correlations between asset classes the PP framework focuses on the underlying macroeconomic causations that drive asset class returns. Causations can be deduced from basic understanding of macroeconomics in a fiat economy and the chain of causation is much more stable over time. If you understand how changes in inflation/deflation and growth/contraction affect the asset, you never need to rely on unstable coefficients. Even if you are using a different strategy than the PP, I think that a fundamental understanding of what drives asset classes will help you build a portfolio with more robust diversification. How do you follow the return of PP everyday? Do you have a line for overall PP for the left chart on your site? Hi frugal. If you check on the "recent performance" tab you will see an overall PP line. I get data from yahoo finance because it includes dividend reinvestment.